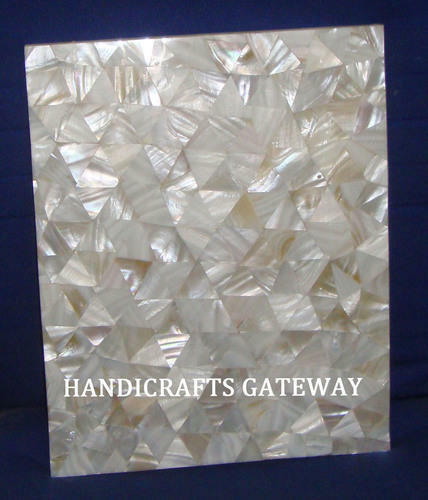 We are engaged in processing the fine quality of Sea Shell Mother Of Pearl Tile that is processed by using the sophisticated technology. Our products have attractive colors that enhance the beauty of the houses and hotels. We have the proper warehousing facility, with which we provide on time delivery of the products. To ensure the superior products to our clients, we check the quality before they are supplied to our clients. • Size : And any customize size as per requirement..